• The investment: how much money serves as the starting up capital including all the expenses needed to set up the business. • The risk: This is a part of all businesses and it must be carefully considered so that you know the level of risk that your investment is being exposed to and how best you can reduce this to a very reasonable level. • The profit: This is, of course, another vital point to consider, because this is what really keeps you and your business going. So it is important to calculate and know the money that will be left after making all necessary expenditures. In the business environment, a business owner must walk the tight rope in trying to get all these factors into view so as to set up a profitable business in Nigeria. We face peculiar challenges like epileptic power supply, poor infrastructures and other things that could push up the cost of operating a business to a level where expenditures is almost more than the profit, and this could mean trouble. But there are still some businesses that can be established and operated profitably in Nigeria, one of them is network marketing. Putting all the above factors of investment, risk and profit into consideration, a network marketing business is one that is most likely to ensure success. Low capital: Network marketing business requires very little capital to start, most times all that is needed is the payment for the initial purchase of products and since this is obtained directly from the company, it comes at a low cost. There is no need to rent an office space, hire staff and invest in product branding before starting up, as you can readily take advantage of the existing company’s structures to kick start your business. High profit margin: Since the start-up capital is low, risk is substantially reduced and profit is elevated. In fact, network marketing has been found to give profit margins of 20 – 50% and there is hardly any other business that meets these estimations. Multiple income sources: With network marketing, you make money networking from diverse sources such as direct sales, commissions, referrals and added bonuses from the company could see the business owner collecting a car award or travelling abroad for vacation. Leveraged and residual earnings: Since the existing company offers a good business structure, all you need do is to build on this and set up a system that will keep bringing in profits. With a traffic generating website or blog you can be earning money even while you sleep. 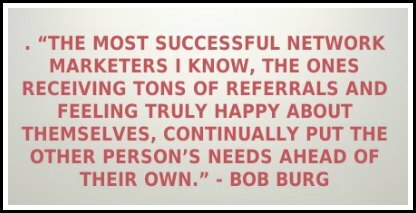 Free training/mentorship: Another good feature of network marketing business is the free training and mentorship opportunities that are available for business owners. This equips you to be adequately prepared for setting up and running a profitable business in Nigeria.